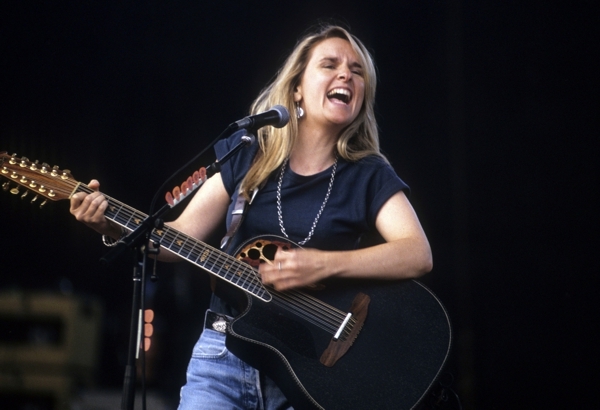 Grammy award and Oscar winner Melissa Etheridge has been an icon since the 80s and probably played one of the most important roles for women in the music industry. 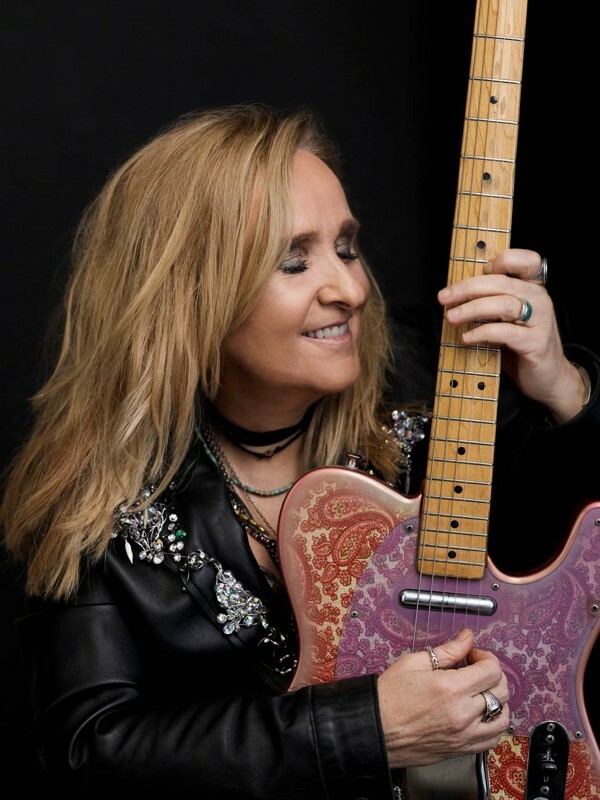 2019 is going to be a special year for her as she celebrates her 25th anniversary on stage, doing a world tour and releases her 15th studio album 'The Medicine Show' on April the 12th. We met up with her before her show in Duesseldorf to talk about memories, strength, health and self-care. Melissa, you are currently on tour in Europe to celebrate your 25th anniversary. How is it going so far? The tour actually started last year in North America. Last summer I toured for the 'Yes I Am' album through Canada and America. Now this year the promoter wanted to take the tour ahead to Europe. We toured through UK, Belgium, Germany and next up is Scandinavia. After 25 years on stage what would you say is special about this tour or which elements have you kept over the time? What can your fans expect? A lot of those songs were hit songs, so they were played all over again and again. It's still great to hear people singing them. But not all of them were hits, so it's nice to bring those back up. I enjoy to talk to the audience and tell them where the songs came from, what the story behind was. When I look at the audience, I see that a lot of the albums meant a lot to those people 25 years ago, and it's nice to be part of their memory. Your new album is very exciting. Already the title 'The Medicine Show' says it all. It is about renewal, reconciliation, compassion and healing. You were talking about deep fears like 'The Shaky National Anxiety', a big issue to write about. It's taken a few years to write this album. I started to write it in 2016, and mainly I wrote about what was happening in my country politically and nationally in 2017 and 2018. The upside-downs and fears affected a lot of people personally, including me. We found ourselves examining everything and trying to find our place in the world – I really wrote from that. I found it best to concentrate on what was going on inside me and around me. This album is all about the experience of what happened in that time, around 2017/ 2018. Like the legalisation of cannabis, or bigger events happening like the Parkland school shooting. This album should help people to come together and understand some of the issues happening in our world and within ourselves. One part that is very important to you is the healing process. How is your music helping with that? Music is healing. It is a beautiful part of being alive, it always has been. Before we could speak as a species, we created sounds or played the drums. There was music first. Music has a way of bypassing our brains and going straight into our hearts where we, as people, are learning to listen more to ourselves. And that creates better health. Health is balance. I think our society is about to understand that a pill is not going to fix us. Health is stress, health is what we feel, what we eat. Health is being active, health is being alive and how to do that, especially I am over 50 now. So the quality of life is very important and health is a big part of that. With this album I had the feeling it deals with your deepest processes. The message is probably the strongest one you had so far with a general intention to help society. So what have you experienced throughout those 25 years that affected this message? Lots of life [laughs]. I had children, and that is a huge change. I've been through a couple of relationships and learned a lot. I've been through a health crisis when I had cancer. That's what really sped up the health issue. I think the most important thing that I've learned throughout these 25 years is that life is just a practice, I am not gonna get it perfect. There is not a certain place that I need to get to, where I would be alright, it is just a practise every day. Before then I spent a lot of time in thinking about the future and what's gonna happen then. I always thought it's gonna be better in the future. Now I understand – no, it is right NOW! You, as a successful artist, have a powerful voice, literally, to appeal such an important message to the world. Do you feel there is a bigger need for artists to bring out important messages like that? I think what people really want is inspiration. Musicians should really dig into themselves to inspire themselves and when they do that, they automatically inspire others. I would never tell someone, you should. But when it's truthful from themselves, when they tell their stories from the heart, that's inspiring. I would say to not try to have a hit song or whatever, but just be inspiring. Your album is about health, wellness and cannabis. This is interesting. So what's your opinion about cannabis? I think cannabis is a tip of the iceberg and a significant change of health. It heals. And healing actually means something else than most people think. It doesn't heal the way western medicine thinks about healing. They think: something caused something in the body to go wrong so we can create another thing to make that better. Cannabis understands that the body can heal the body. Our body has an amazing immune system and we should understand why that symptom occurs. We are just about to understand emotional connection to our physical connection and how health is impacted by our emotions, thoughts, stress and things. And cannabis helps with that, it connects with that. We have an intro cannabinoid system. Plant medicine in general helps us and we've been afraid of them for so long. Now we are slowly opening up for that. Especially in our country, the opiums, the pills have created zombies. They have created zombies without feelings because they disconnect from our body and mind. So we have a little crisis. Cannabis and the emerging plant medicine can change that. Talking about alternative medicine, you are also a human right activist, making people aware of breast cancer and how to treat it with alternative medicine. Now as a successful artist, how are you appealing to women to be aware of that issue? The message is kind of the same; it is taking care about yourself. So many women forget about themselves. They take care of the children, their husband, the house, the work...whatever it is. They put themselves last. You can't be helpful for anybody if you are sick. So it is about understanding of yourself and understanding to take the time. Also about understanding stress. Stress is very harmful and we stress ourselves. Everyday our thoughts are worries and that is so harmful. That is my main message – to take care. But also the diet and water can help to take care. You've gone through a cancer. After you fought it, you came back on stage for your first gig at the Grammys in 2005 and you were so powerful, like never before. What helped you to overcome that time? I would say this is your personal journey. Don't do what anyone else thinks you should do. Take cancer as a signal that you are out of balance. Search for that balance, go and find that balance. Whether it is your own acid balance, which can be controlled with food and stress, or if it is the imbalance of maybe your job, or an unhealthy relationship. My cancer doctor told me that people that survive the most are the one who make a change. Really a change of something to bring back the balance. That is strong, because that is also the message of your album, to make that change. The recording process of it was also very interesting. You worked together with producer John Shanks (Keith Urban, Bon Jovi). You also had people like David Campbell (Barbara Streisand, Paul McCartney) on it. Tell us a bit about the technical process of the production and what was your intention to create that natural sound? I've discovered John in the 80s in LA. He was in a band where I knew the bass player. He became my guitar player for many years until the 90s, so he is like my brother. The first album he produced was my breakthrough album. Since then he has produced many of my songs; we are just like family. When I started this album, I didn't know where it would take me. I just took it day by day and would see me where my path will take me. I started to write the album in Nashville in 2016. I tried out some rhythm and sounds, then I took it back to LA, kept on working. At the end I had 14 songs. Then in 2018 I performed at this NAMM show in LA and John walked backstage. I didn't know he was around because he was working with Bon Jovi. He told me about his new studio that he had built. He said come and see it. So I told him about my new album and then we started to work on it. With this album you recorded everything live and you wanted to capture the raw emotion. How can you capture raw emotions? Because these days there are so many technical supports and electrical sounds. I told John, this is the sound I want, I wanted it to be like a 90s record. In the 90s we were so inspired by the 70s. In the 90s it was that pure Rock'n'Roll where the band played live. It is a bit Fleetwood Mac inspired. I wanted the drums to be close and I wanted everything to be very close. And that is the beauty of John – it was just me, the drummer and the bass player and John's guitar and my guitar. Then we added some keyboard. But we created the sound, that each song would still be able to work with just me and the guitar. So each song we made sure the band was upfront and John was brining my voice upfront. Is there any further project you are excited about? This album is the main thing, and the tour. I am also helping to write the music for a musical of the 80s movie 'Mr. Pizza', so I am looking forward to that. This should roll out next year. The rest is touring, including a cruise tour.